These days, carving pumpkins is old hat. Who wants to deal with the mess, or knives around kids? (Especially if they fight as much as my kids do.) 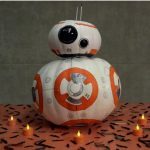 I love painting pumpkins, but there are many other ways to make your Halloween pumpkins festive. 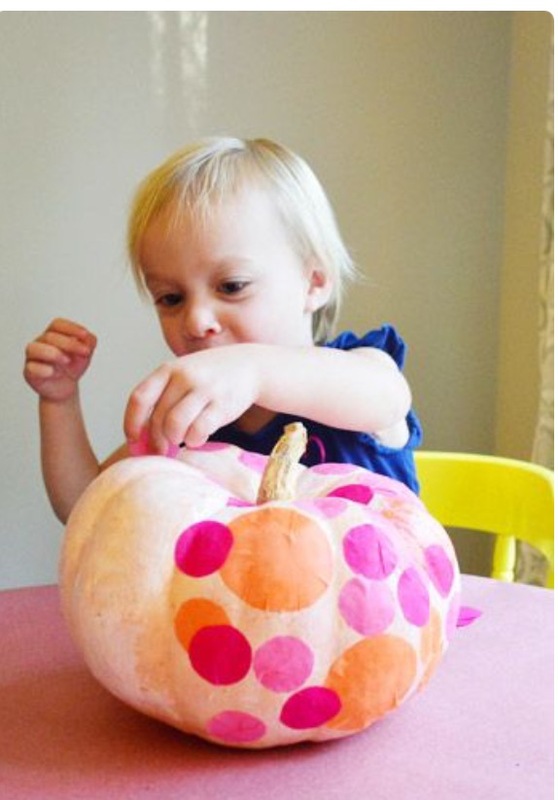 Here are 8 Easy and Cheap Pumpkin Decorating Ideas. 1. 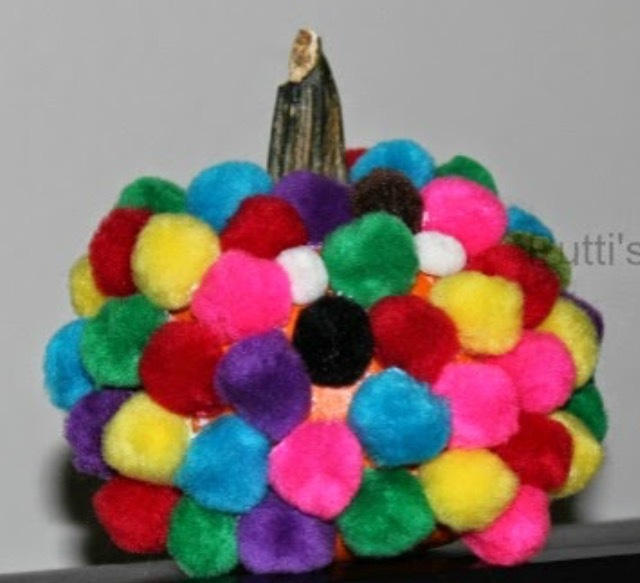 Pompom pumpkins. 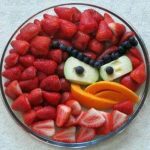 What a simple, easy, no-frills idea! 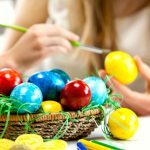 You can use as many or as few pompoms as you’d like and can use pompoms of various sizes. Adhere with school glue and you’re good to go. From Putti’s World. 2. Mummified pumpkins. 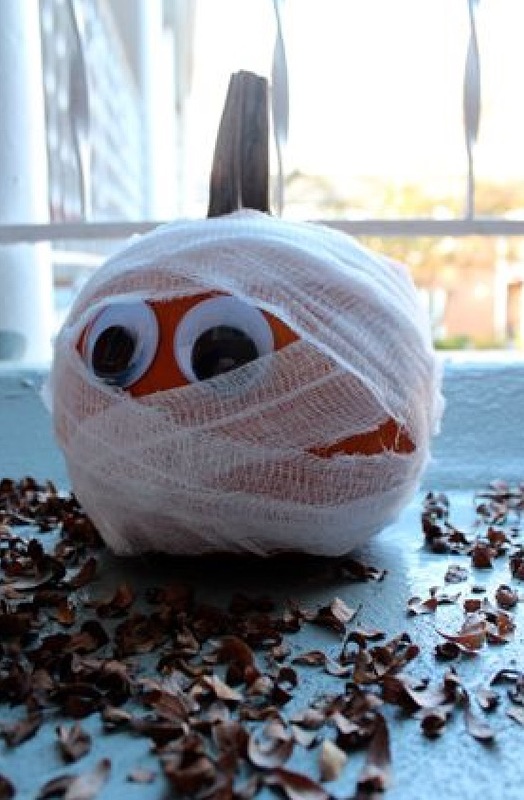 All you need: a pumpkin, some gauze, googly eyes and school glue. So clever! 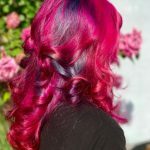 From the “mummies” at Cool Mom Picks. 3. 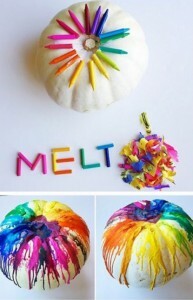 Melted crayon pumpkins. What you need: crayons, a hair dryer, and tacky glue. What a fun Halloween art project for kids! Details can be found on craftymorning.com. 4. Glitter pumpkins. This idea from HGTV is easy and fun. 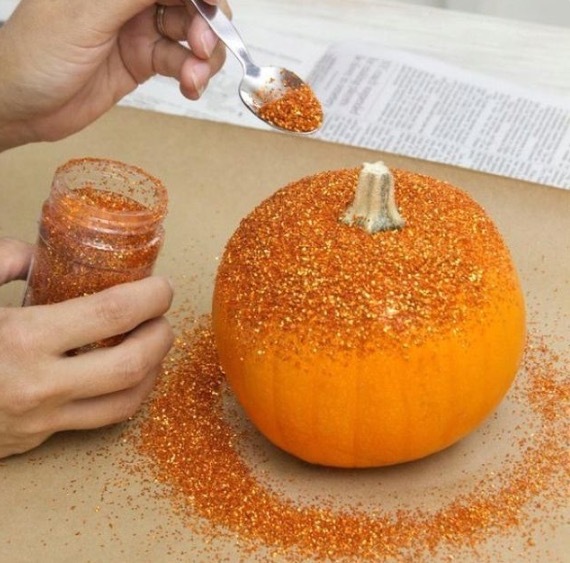 Simply spray the top and middle portion of a pumpkin with spray adhesive. While the glue is still wet, use a spoon to sprinkle glitter over the sticky surface of the pumpkin. Allow to dry. Unless you want to glitter the stem, try not to spray it with adhesive. Cover it with painter’s tape if necessary. 5. Tissue paper pumpkins. Bloggers/creators Sherry and John say of their daughter: “Anyone who follows us on Instagram knows that Clara is obsessed with stickers. And although a pumpkin covered in her usual fare of Snoopys and Barneys would have been fun, we thought it might be even more exciting to try our hand at something we could customize. So we decided to make our own ‘stickers’ with the help of some colorful tissue paper and good ol’ Mod Podge that we already had on hand.” We think the result is a winner. From Young House Love. 6. 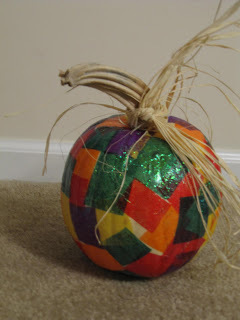 Patchwork pumpkins. This idea comes from The Butcher, The Baker & The Craft Maker who say, “Take some colorful (preferably fall colors) tissue paper and cut it into squares. Next, using a paint brush, cover sections of your pumpkin with glue. Then stick on the tissue paper in random ways. 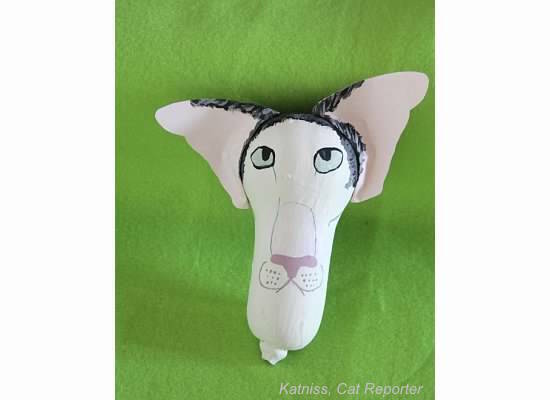 Cover the tissue paper with another layer of glue. Let dry, or if in a hurry use a hair dryer. The kids put a layer of glitter glue on top of the regular glue to add a little extra flair. 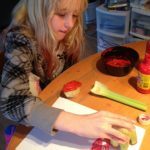 They used regular Elmer’s glue, but of course Mod Podge would work just fine too!” Sounds fun and we love how they turned out! 7. Buttoned-up pumpkins. From handsonaswegrow. 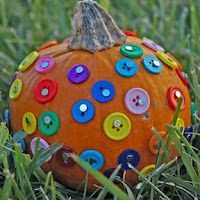 Your little ones will need a little help with the hammering, but they’ll love picking out colorful buttons or gems to attach to their Halloween pumpkins. 8. Go for the gourd… or squash! Who says it has to be a pumpkin? The Internet’s Katniss, Cat Reporter has been doing a series of Famous Internet Cat Pumpkins. This squash, painted to look like Oriental Shorthair Dobby Cat, has inspired us to think beyond the pumpkin! What are your favorite pumpkin decorating ideas? HOT! Refurbished Singer Sewing & Quilting Machine Only $155 (Reg. $430!) + FREE Shipping!